With each iteration of the iPhone the camera just gets better and better. With the new iPhone 6S you can record in 4K video despite the Apple TV doesn’t support it yet. Although the ability is there it is not enabled by default so you have to go hunting around in the settings to enable 4K video recording. Be warned, this isn’t for those of you who have the 16 GB model. 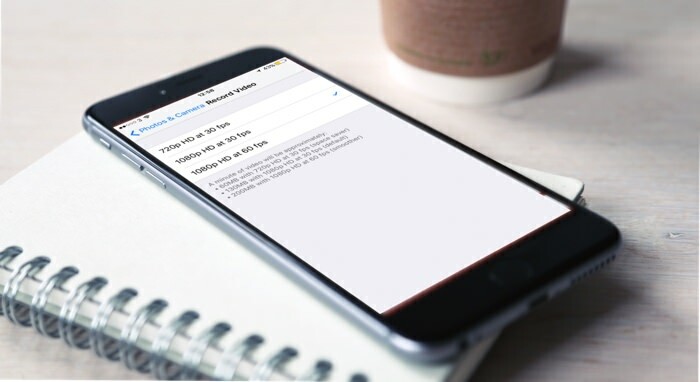 In its default mode the iPhone 6S records video at 1080p resolution at 30 frames per second. This is a good D4 option as it gives you the best quality and frames per second without file sizes going completely crazy.